Dimensions: LOA: 26' LWL: 21'3" Beam: 8' Displacement: 6800 lbs. Draft: 3'10" Ballast: 3500 lbs. 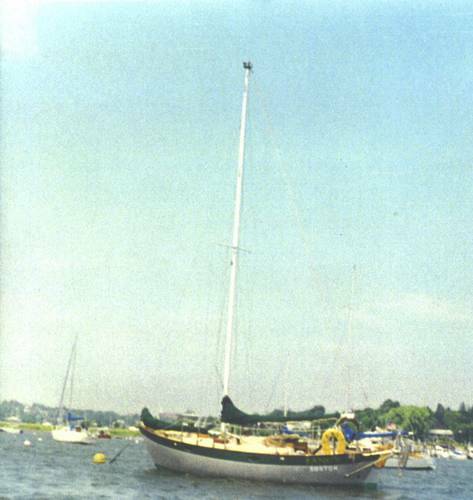 Construction: Hand layed Fiberglass deck and hull, external lead ballast, grey hull with green whale stripe. Interior overhead is ¼” plywood covered with white Formica and trimmed in cherry. Layout: “Fancy’s” interior layout is very open and spacious. 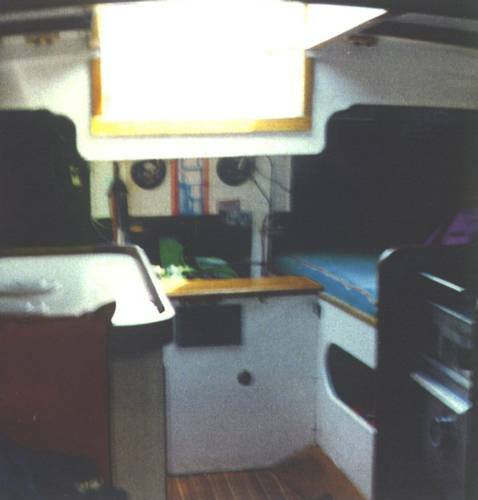 Immediately to port and starboard of the companionway are two (2) generous quarter-berths with storage below. Moving forward to port there is a small galley with 2-burner Shipmate kerosene cook stove and oven and stainless steel sink, and to starboard is a nav table with storage lockers below. 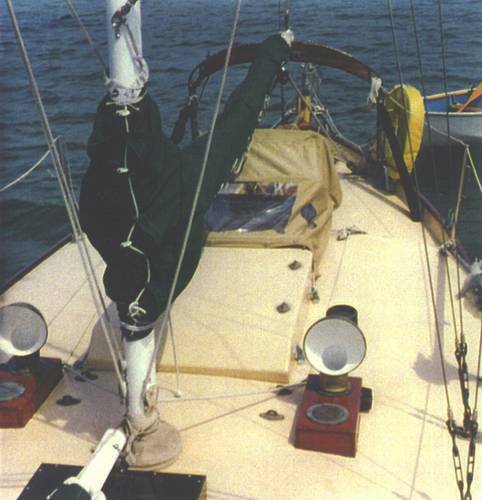 Two (2) larger than normal pipe berths are located on both port and starboard sides with satin-varnished teak sheathing covering the internal hull surfaces. A Shipmate coal/wood stove (new 2004) is located to port and outboard of the pipe-berth. Forward of the pipe berth bulkhead is an area perfect for sail storage and other miscellaneous gear. 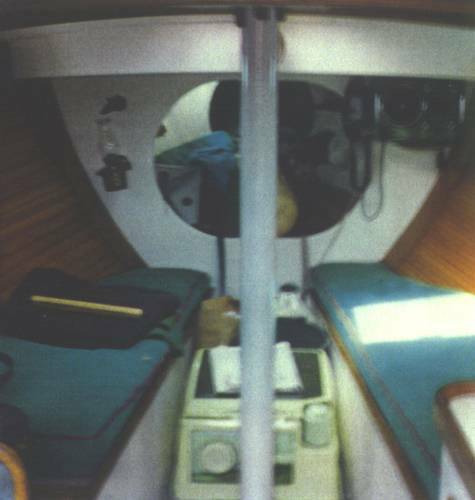 A “porto potty” is located on centerline; just forward of the main mast. Cushions new (2002). Classic oil lamps provide the majority of interior lighting. Steering: External tiller w/ Fleming self-steering system. Engine: 1986 Volvo 9 HP (installed by Morris Yachts in 1986) Low hours. 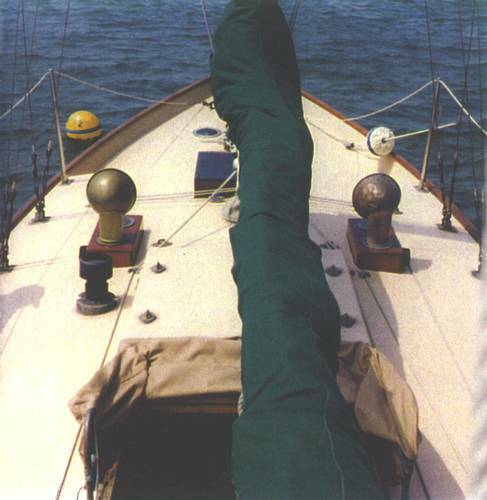 Sails: Two (2) mainsails, storm trysail and storm jib. Rigging: Aluminum mast and boom (painted white) w/ boom gallows and stainless steel wire standing rigging. Jib is club-footed. Equipment & Features: Bilge pump, compass, life jackets, docklines, fenders and misc. USCG required equipment. Fiberglass Dyer dinghy w/oars also available (but sold separately).